The ECC is a short three blocks from the Ballston Metro stop on the Orange and Silver Lines. Located in the Ballston Neighborhood in Arlington, Virginia, close to multiple government agencies, and near three area airports: Washington Reagan National Airport (DCA) 7 miles, and Dulles International Airport (IAD) 22 miles, and Baltimore/Washington International (BWI) 40 miles. Exit the airport following the signs for George Washington Parkway. After approximately 4 miles, exit Spout Run Parkway (exit will be on the left). Turn left on Quincy Street. Turn right onto Wilson Boulevard. ECC is in Suite 300. Exit the airport following the signs for I-66 East toward Washington, D.C.
Exit Glebe Road/Fairfax Drive Exit (Exit 71). Turn right onto Randolph Street. 4075 Wilson Boulevard is located on the corner of Wilson Boulevard and Randolph Street. The ECC is in Suite 300. Exit the airport following the signs to I-95 South. Exit onto I-495 South toward Northern Virginia. Exit onto George Washington Parkway. Exit 7B, Glebe Road North. Turn right onto Quincy Street. Turn left onto Wilson Boulevard. Take I-95 to I-395 North. Take I-395 South from Washington. At the top of the escalators, turn east walking along Fairfax Drive (towards Stafford Street). Approximate fares for Uber, Lyft and taxis are below. Prices listed are for non-peak hours. Limited parking for the Executive Conference Center is available in the underground garage. The entrance to the garage is located on the Randolph Street and on the side of the building just past the loading dock. The daily rate is $14.00 per day. Only credit card payments will be accepted to include: AMEX, Discover, MasterCard, and Visa. The parking garage operating hours are Monday–Wednesday 6:30 am – 11:00 pm; Thursday 6:30 am – 12:00 am; Friday 6:30 am – 2:00 am. Ballston Common Mall, our first recommendation and located across the street from the ECC for $10 per day. Stafford Place One Garage, $11 per day. Colonial Parking Garages – click here to view garage locations and availability. There are many hotel options within walking distance to the Executive Conference Center or one quick metro stop away. 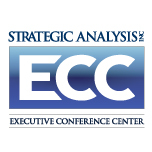 Strategic Analysis, Inc. and the ECC do not promote or prefer any of the hotels listed below.